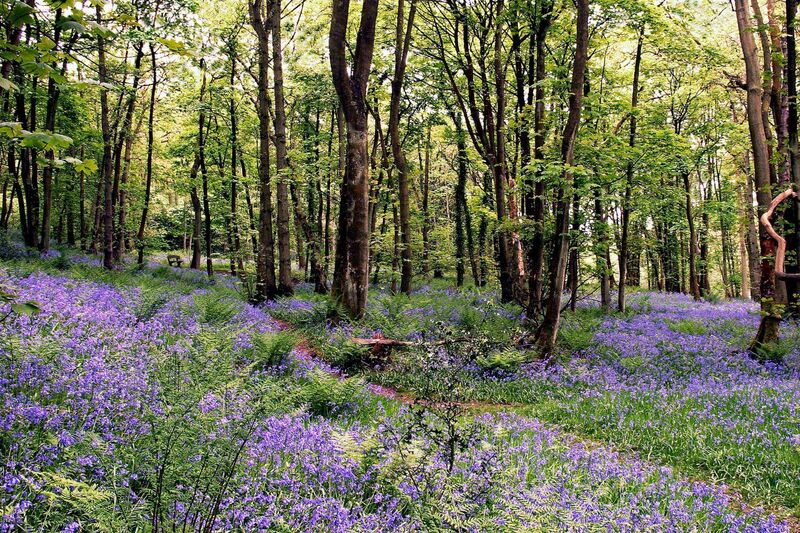 During springtime, there is A carpet of bluebells at Calder Vale in Lancashire alongside the woodland path between the village of Calder Vale and St John’s Church. There’s a little seat part way up the steep hill where you can rest for a while and take in the fantastic scent before you go on your way. In summer, there is sometimes afternoon tea served up at the church to boost their funds which makes for a delicious and welcome stop off.